A two component, water reducible amine adduct enamel. Hydroxy offers all the performance characteristics of solvent base epoxies without the solvent odors and hazardous chemicals. The highly crosslinked film provides years of service in industrial and commercial applications. Polyamide Epoxy Clear Sealer/Finish is designed to penetrate deeply into concrete or wood substrates, providing the necessary foundation needed to support high performance topcoat systems. This product may also be used over color coats of epoxy, or by itself, as a clear finish. Mix 101-10A Clear with 101-250B Catalyst, only. You need a block filler you can depend on to fill block in one coat keeping the job moving at the right speed. 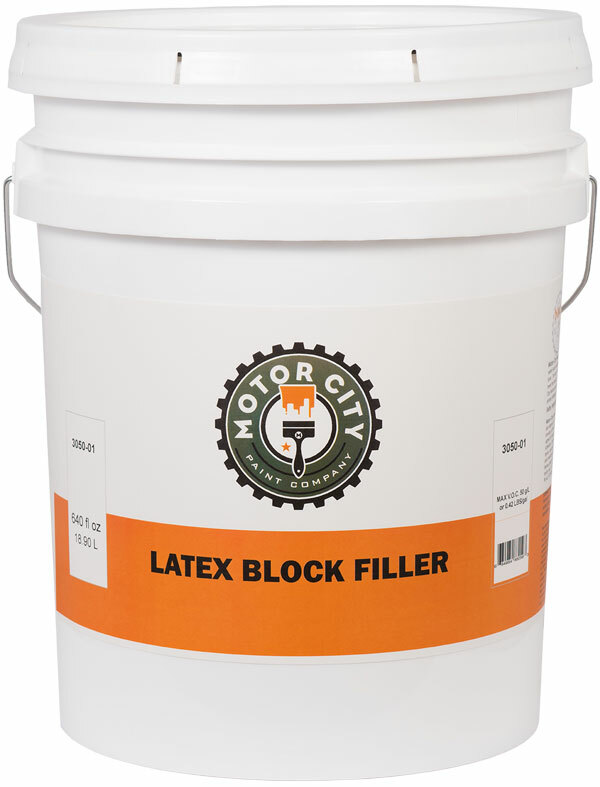 Our Latex Block Filler is designed to help you stay on budget and keep your job on schedule. Engineered to fill the voids in interior and exterior concrete block walls, improving the appearance and moisture resistance of these surfaces. Not for use below grade or in interior applications that are consistently wet. Pricing is based on volume call (586) 739-0240 for a quote. You need a product that saves you time by allowing you to fill and finish concrete block with the same product. Our Semi-Gloss Latex Block Filler / Finish is designed to help you stay on budget and keep your job on schedule. In many cases you can fill and finish block in a single spray and back rolled coat. Engineered to fill the voids in interior concrete block walls, improving the appearance and moisture resistance of these surfaces. Not for use below grade or in interior applications that are consistently wet. Pricing is based on volume call (586)739-0240 for a quote. This Elastomeric is a high build finish coat that is designed to provide the ultimate waterproofing membrane for virtually any exterior surface, even against wind driven rain. The Elastomeric film provides an elongation memory and resists dirt pick-up so the coating remains clean and fresh looking. Superior elongation properties allow the film to expand and contract over existing hairline cracks without the reoccurrence of cracking through the film. DTM O’Leary Direct to Metal Acrylic Enamel is a high performance, rust inhibiting coating system that can be applied to bare steel, galvanized steel or a variety of other substrates. DTM Acrylic Enamel is designed for light to moderate industrial exposure and is suitable for most institutional or commercial applications. This product is available in 180 Series Gloss Finish, 182 Series Semi-Gloss finish and is companioned with 180-11 or 182-147 High Performance Acrylic Rust Inhibiting Primer to provide unparalleled corrosion performance in normal atmospheric environments. O’Leary DTM Acrylic Enamel is a low odor, low VOC coating that provides excellent adhesion, corrosion protection, gloss and color retention, as well as ease of application and clean up being a waterborne system. You need a product that saves you time by allowing you to spray a ceiling and have the paint dry before it hits the floor. 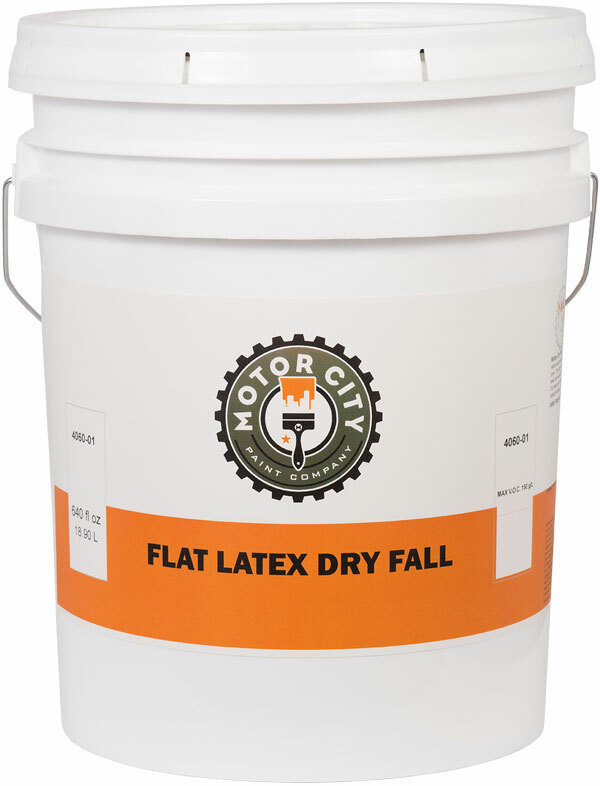 Our Latex Dry fall is ideal for metal decking, concrete, galvanized metal, drywall and wood. Our Dry fall is design to help you stay on budget and keep your job on schedule. We help you reduce labor cost with our unique packaging sizes. Sheen: Flat, Eggshell & Semi-Gloss available. Epoxy Ester Dry Fall is an interior one coat primer / finish system formulated for direct application to bare galvanized and ferrous metal surfaces. It can be applied directly to properly prepared unprimed or previously coated concrete and steel supports. This system is recommended for a one coat application on all types of ceiling surfaces. Overspray to dry from 8 – 10 feet fall reducing the need to cover floors and equipment.